Elevated mold activity in your Lindenwold, NJ home or business can put you, your family, your employees, and anyone spending time in the property at risk. Mold leads to various health side effects to those exposed and causes structural damage to the building. Mold is an important component to maintaining a balanced ecosystem. However, if indoor mold levels are elevated beyond “normal,” it begins to threaten the safety of anyone exposed for prolonged periods of time. “Normal” is defined by the outdoor spore count of the natural environment outside of the property. Elevated indoor spore counts indicate an underlying indoor water problem that is promoting the excessive fungal activity. If the mold and the water problems are not resolved, you can be greatly compromising your safety and your family’s safety. A thorough evaluation of your Lindenwold home or business will determine the capacity of your mold problem. Often times, the mold growth can be far more extensive than we can see. This is why, during a Lindenwold, NJ mold inspection, we use moisture meters and thermal imaging cameras. These tools help MasterTech Inspectors identify what is happening beyond the surface of building materials, areas that we cannot easily access without disrupting the mold spores. Ultimately, the goal is to maintain the containment of the mold development as much as possible. MasterTech mold inspections are specifically designed to gather as much information as possible without taking any invasive measures that can risk cross contamination of the surrounding areas that are not properly protected (i.e: cutting into drywall, pulling out insulation, ripping up carpet, peeling off wallpaper, etc). When it comes to mold, you could be putting you, your family, your home, and you property value on the line. Mold that is removed improperly can do more damage than good. At MasteTech, we are committed to completing quality remediations with you and your family’s safety in mind. Our team takes every measure to ensure that the job is done right the first time. In order to provide the most effective mold removal, we must resolve the underlying causation. Often times, mold development is the result of major water damage in your Lindenwold NJ property. If a home or business is not properly and thoroughly dried out within a reasonable time, you risk severe mold development. In some cases, the moisture source can be a leak, seepage, flooding, elevated humidity, and various other water problems. 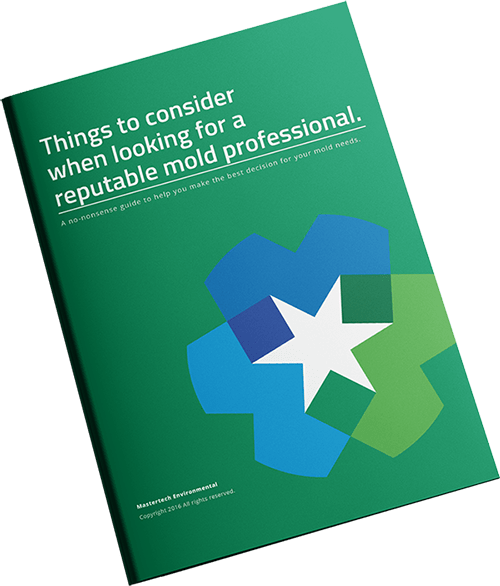 Taking the time to properly evaluate the causation of your mold problem is vital to all mold remediations to ensure that once the mold is gone, it will not come back. Due to all the factors that come into play with mold, no two mold cases will be the same. It is important that the scope of work for your Lindenwold, NJ mold removal is specifically developed to address your unique, individual needs. Each MasterTech mold removal in New Jersey will include identification and treatment of all areas of mold, a safe and effective cleanup, and recommendations for preventative measures that ensure mold and moisture control in the future. 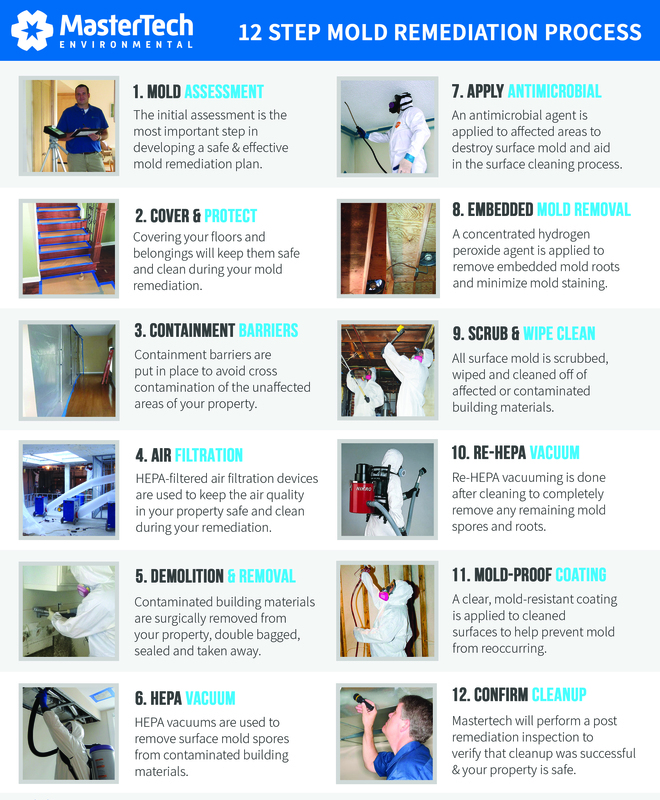 MasterTech has taken time to carefully craft a 12 Step Mold Remediation process that promises the safest, most efficient, and most effective mold remediation from start to finish. At MasterTech Environmental, we are committed to you and your family’s safety. We are dedicated to providing the highest quality mold remediation in Lindenwold, NJ. Our team of certified industry experts have incorporated the safest and most up-to-date mold removal methods to crafted the safest and most effective mold removal process for your Lindenwold, NJ home or business. If you are looking for a certified mold remediation in Camden County, NJ, call to speak to a MasterTech expert today! For mold removal and mold inspection Lawnside, NJ or mold removal or mold inspection Cherry Hill, NJ, call 609-948-8844.